Older PostIs Tad Inoue The Next Joe Rogan? Is Six-Pack Creamery High-Protein Ice Cream a Halo Top Killer? I’ve done a piece of content in the past showcasing just how much Halo Top is killing it. They beat out some big names in the ice cream game in terms of sales and growth with little sign of slowing down. However, there’s a new player in the game by the name of Six-Pack Creamery. Looking at the profile, it looks as though Six-Pack Creamery could be a real threat to Halo Top and their high-protein ice cream. But will the sales knock the king off their throne? That’s a Lot of PROTEIN! When you think of a pint of ice cream, you’re thinking that will be one serving and that you’ll crush the entire pint without thinking twice about it. In the case of Six-Pack Creamy, you’d still be correct. However, it’s the amount of protein in that pint that has me picking my jaw up off the ground. 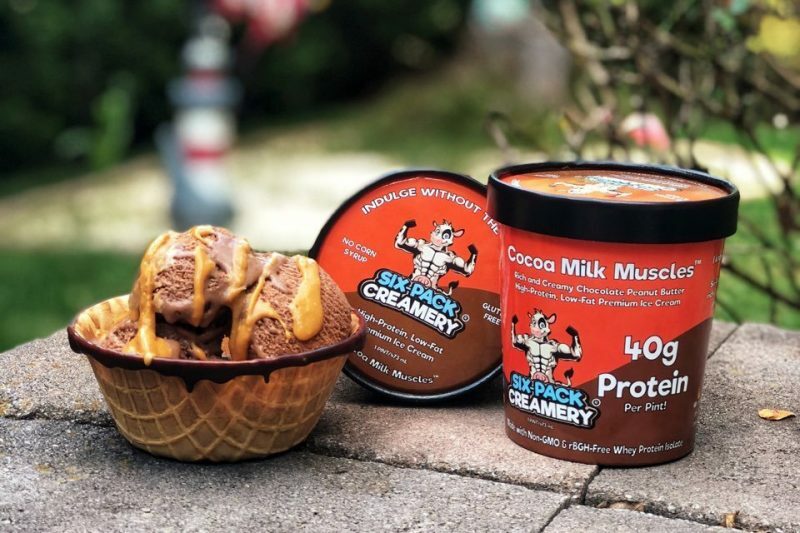 Six-Pack Creamery has slammed their flavored pints of ice cream with a whopping 40g of protein. 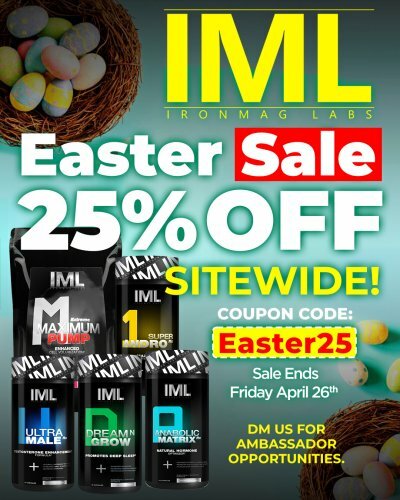 Yes, you read that correctly, 40g of protein! When you compare that to Halo Top you’re getting twice as much protein in a single pint. Not bad, eh? The nutritionals of the Six-Pack Creamery high-protein ice cream aren’t too bad – all things considered for what it actually is. A full pint will yield you 27g of net carbohydrates, 11g of fat, 27g of sugar, and around 420 calories. Now, each container is supposed to be three servings but you know that won’t happen. The Six-Pack Creamery high-protein ice cream is 100% non-GMO, uses rBGH free whey protein isolate, is soy free, and does not use any corn syrup, glycerin, carrageenan, or other additives in their ice cream. Six-Pack Creamery high-protein ice cream claims to be a premium, low-overrun (where air is whipped into the product decreasing its density) product that is dense yet creamy and delicious. They have named their ice cream as being a “physique-friendly dessert” option. The flavors currently come in Lean Mean Vanilla Bean and a Cocoa Milk Muscles. As I’ve mentioned in previously published articles, high-protein snacks have been a crazy the last couple of years and I don’t see that changing anytime soon. With people looking to change up from their normal protein bars and protein shakes, they want something “different” to spice things up. Consumers have been looking at high-protein cookies, high-protein brownies, high-protein chips and popcorn, and yes, even high-protein ice cream. The demand is out there and with more brands thinking outside the box, it is truly bringing to market some enjoyable and innovative products to help consumers meet their daily protein intake. If you’re like me, as soon as I see a new high-protein snack on the market I toss my money out on the table. Variety is the spice of life and when it comes to protein, I enjoy trying new things. Can Six-Pack Creamery TOP Halo Top? First and foremost, you need to understand the purpose of purchasing either one of these ice creams. Halo Top is more macro-friendly but has a lower amount of protein per pint. Six-Pack Creamery is almost double the calories but also contains double the protein content. So, you need to weigh your options to decide which is more important to you. If you want something lower in calories than Halo Top is the winner. If protein is your main focus then Six-Pack Creamery is the winner. One of the most shocking points of differentiation is with the price. You can go into many grocery stores or mass market locations and find Halo Top pints for around $4 – which isn’t bad when you’re paying more for pints of Ben & Jerry’s. That being said, you might want to brace yourself for the cost of the Six-Pack Creamery high-protein pints. I’m not going to go through all the price options based on the quantity purchased as you can easily go to their website and see for yourself but you can order the Six-Pack Creamery high-protein ice cream in either a 4 pack, 6 pack, or 8 pack. The more you buy the lower the cost per pint. Here’s where things go sideways. The 8 pack will run you $90. That breaks down to the lowest cost being $11.25 per pint. Wait, it gets even worse. You have to pay shipping on top of that. Ultimately, you’re paying well over $12 when it’s all said and done per pint (and that’s the cheapest option if you purchase online). I don’t know about you, but there is no way in hell I will ever spend that kind of money on a pint of ice cream. I don’t even care that it’s a high-protein ice cream with 40g of protein per pint. That’s absurdly expensive and quite honestly, I think they’ve priced themselves completely out of the market. Correction, out of this universe. At that price point, I will be surprised to see them make it more than a couple years in the industry. Bottom line, cool product. I dig how much protein is in each pint but the pricing is insane. I wish them the best of luck and would love to hear feedback from those who tried their product but in all honesty, I’ll never purchase even one pint to try. The juice isn’t worth the squeeze when I can take a MET-Rx RTD51 and pour it in a bowl, place it in the freezer for around an hour, and eat it like ice cream while taking in 51g of protein and only spending around $5 for the ready-to-drink product. To each, his or her own and some might consider the cost fine but for me personally, there’s not a snowball’s chance in hell I can get behind Six-Pack Creamery high-protein ice cream based on their pricing. 10 Things You Must Do to Gain Muscle Mass! Circuit Training? 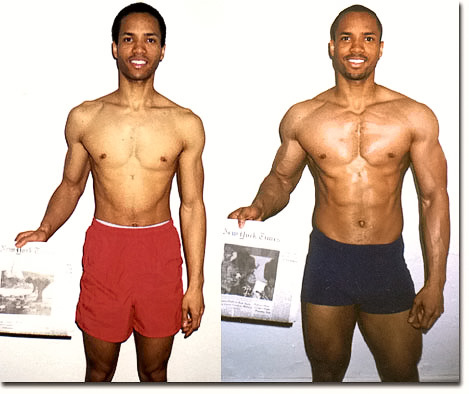 = Fat loss? High Salt Consumption Not Dangerous?